If there is one thing we humans are universally good at, it is generating waste. With due respect given to the progress we have made toward a more circular economy, even if societies continue to make strides to reduce packaging, use more reusable materials, and decrease food waste, it is a biological fact that we will always leave waste behind us. But this does not have to be a problem. Players in the RNG value-chain capture the raw methane (or biogas) that naturally emits when organic compounds decompose and convert it into renewable energy. RNG substitutes for fossil fuels to generate electricity, to heat homes and cook with, and to fuel vehicles. RNG therefore epitomizes sustainability. 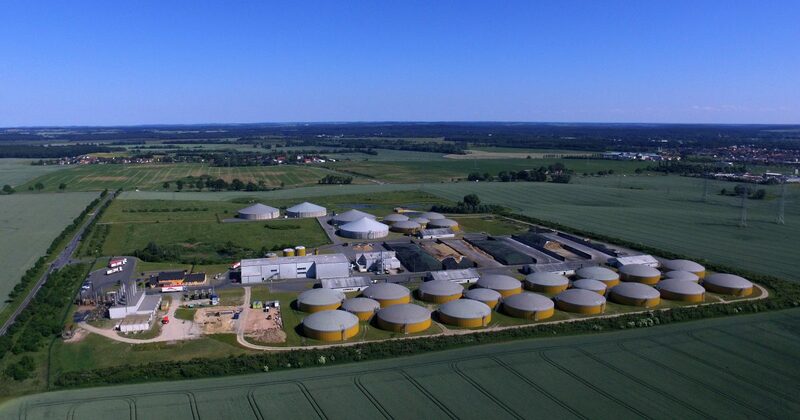 The technologies to condition biogas into RNG have been used for decades to create green energy from wastewater, landfills, livestock and agricultural waste, and diverted organic materials. In North America, where our organization operates, an onsite facility has produced renewable natural gas since 1982 at New York’s Fresh Kills Landfill. The concept was ahead of its time. Adoption was initially modest, with a majority of RNG being used to generate electricity registered under many states’ renewable portfolio standards. Natural gas distribution networks were still growing, and petroleum and diesel remained largely unchallenged in transportation applications. The concepts of sustainability and climate change were fledgling. With changing power industry dynamics over time – more solar and wind sources coming online and natural gas power generation increasing – electricity prices dropped. Lower prices struggled to spur new production facilities to turn organic waste into RNG. California initiated the novel policy approach of a Low Carbon Fuel Standard (LCFS), placing additional value on renewable fuel products corresponding to the reduction in carbon achieved by the lifecycle of the fuel. Yet, in a California market thirsty for renewable fuel and with one of the richest concentrations of organic waste feedstocks in North America, RNG production was failing to grow in the state. Two California policy professionals, David Cox and Johannes Escudero, were directed to a 1988 state law that was unintentionally impeding growth in RNG production. Methane gas captured at California landfills could be used to generate electricity, but not used as pipeline quality natural gas. The policy needed to change, because it made it impossible to put renewable natural gas in California into the interstate pipeline system and draw it out of the pipe to power vehicles with ultra-clean fuel. Coming together with eight visionary companies in 2011, Cox and Escudero formed the Coalition for Renewable Natural Gas (RNG Coalition), a non-profit organization dedicated to advocating for increased development, deployment and utilization of renewable natural gas. Within a year the law was amended. RNG was primed to launch into a growth phase, largely due to its substantial environmental merits under clean fuels policies. 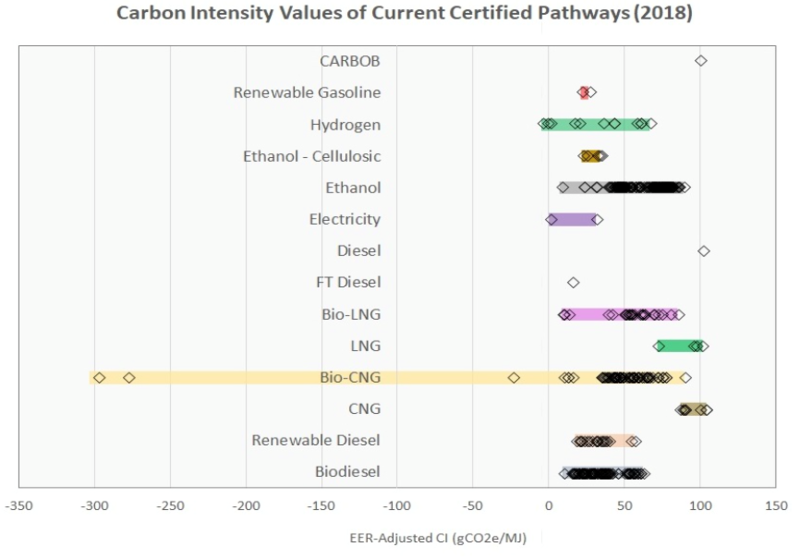 Under the LCFS, the carbon intensity pathways for RNG transportation fuel from most feedstocks are comparable to those for electric vehicles. RNG fuel from certain feedstocks are significantly carbon-negative (including the cleanest fuel pathway certified under the LCFS to date – by far), meaning the process of producing the fuel is like sequestering carbon. At the national level, the US Renewable Fuels Standard (RFS) has stimulated substantial new RNG production. Due to the work of RNG Coalition stakeholders, in 2014 the Environmental Protection Agency (EPA) officially recognized RNG’s full environmental lifecycle benefits. RNG produced as a drop-in natural gas transportation fuel is an RFS-eligible advanced and cellulosic biofuel. The measure of the net carbon savings achieved by using RNG in transportation (60 percent or greater) places additional value on each gallon of fuel. This value, reflected by the cellulosic (D3) Renewable Identification Number (RIN), has been a key driver for new facility development and growth in RNG production. RNG has comprised over 95 per cent of the cellulosic biofuel generated under the programme in each year since. Few would say that any clean fuels programme is perfect. But we need to not let perfect be the enemy of progress. The RNG industry is a model success story showing the efficacy of clean fuels policies. Aside from the overall growth in RNG production, just the growth in RNG used as a transportation fuel under the RFS provides clear evidence. In 2014, about 50 million gallons (ethanol gallon equivalent or EGE) of RNG were produced for the RFS. Just three years later in 2017, EPA shows over 242.5 million gallons (EGE) of RNG under the programme – an average annual growth rate of 70 per cent. Now, 70-80 per cent of RNG in North America fuels vehicles with natural gas engines, primarily heavy-duty vehicles that most often previously ran on diesel, like city fleets, port trucks and passenger buses in metro areas. That growth is mirrored by the increase in RNG production facilities, each of which inject millions of dollars into regional economies and create dozens of local jobs. The RNG Coalition established a goal in 2015 to double the number of RNG production facilities in North America by 2025. There were 51 RNG facilities at the time. The RNG Coalition’s new database of RNG production facilities in North America reveals the industry is on pace to reach the goal in half that time. 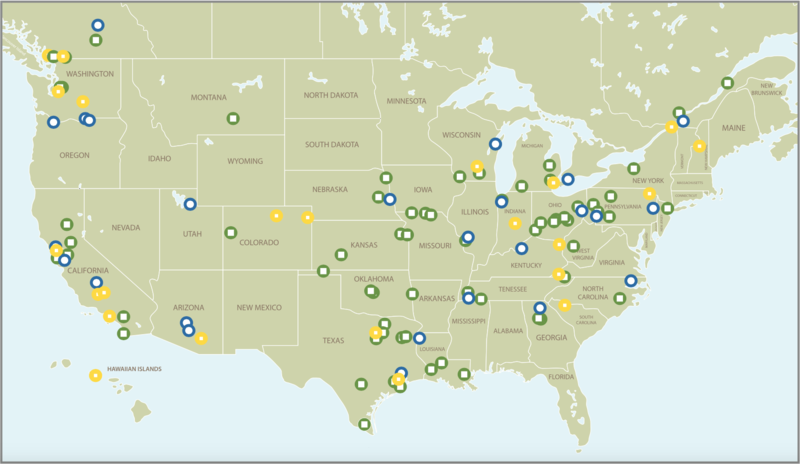 There are now at least 76 operational RNG facilities in the U.S. and Canada, representing 85 per cent growth from the 41 projects built between 1982 and 2014. An additional 24 RNG production facilities are currently under construction and at least another 24 have reached stages of substantial development prior to commencing construction. Marcus Gillette has represented the RNG industry with the Coalition for Renewable Natural Gas (RNG Coalition) since 2014, first as Director of Public & Government Affairs in Washington, DC, then Director of Public Affairs. 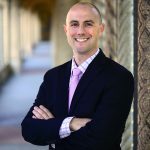 Mr. Gillette holds a Bachelor’s in Economics & Business from Westmont College, and an MBA & MA in International Development from American University in Washington, DC. The RNG Coalition serves as the public policy advocate and education platform for the Renewable Natural Gas industry in North America, advocating for increased development, deployment and utilization of renewable natural gas so that present and future generations will have access to this domestic, renewable, clean fuel and energy supply. For more information e-mail: Marcus@RNGCoalition.com or call: 001 916-588-3033, ext. 3.